According to George Jackson, black men born in the US are conditioned to accept the inevitability of being imprisoned.... “Being born a slave in a captive society and never experiencing any objective basis for expectation had the effect of preparing me for the progressively traumatic misfortune that led so many black men to the prison gate. I was prepared for prison. It required only minor psychic adjustments.” As Jackson writes from his prison cell, his statement may seem to be only a product of his current status. However, history proves his point. Indeed, some of the most well-known and respected black men have served time in jail or prison. Among them are Martin Luther King, Jr., Malcolm X, Marcus Garvey, and Frederick Douglass. This book is an examination of the various forms that imprisonment, as asocial, historical, and political experience of African Americans, has taken. Confinement describes the status of individuals who are placed within boundaries—either seen or unseen—but always felt. A word that suggests extensive implications, confinement describes the status of persons who are imprisoned and who are unjustly relegated to a social status that is hostile, rendering them powerless and subject to the rules of the authorities. 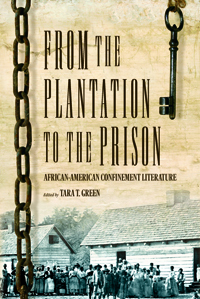 Arguably, confinement appropriately describes the status of African Americans who have endured spaces of confinement, which include, but are not limited to plantations, Jim Crow societies, and prisons. At specific times, these “spaces of confinement” have been used to oppress African Americans socially,politically, and spiritually. Contributors examine the related experiences of Malcolm X, Bigger Thomas of Native Son, and Angela Davis.